In a move spurring a regulatory fight, Gulf Power Company is seeking to collect millions of dollars from customers for a possible nuclear-power project in North Escambia. By 2012, Gulf Power expects to finish buying 4,000 acres of land near McDavid that could eventually be home to a nuclear plant or perhaps another type of power plant. But with state regulators scheduled to hold a hearing next month about a Gulf Power request to raise base electric rates by $93.5 million, attorneys for consumers and business groups are trying to block part of the proposal dealing with the potential nuclear site. State Public Counsel J.R. Kelly, whose office represents consumers in utility issues, said Gulf Power does not know how it will use the site and has not gone through a regulatory process aimed at determining whether the utility has a need for another power plant. “Bottom line, from our standpoint, is it’s so speculative,” Kelly said Thursday. But Gulf Power spokesman Jeff Rogers said the company knows it will eventually need the land. He said the company is keeping its “options open” until forecasts show a need for developing a power plant, which could be nuclear, gas-powered or some other type of facility. “You can’t meet the need without the very first thing in place, and that’s the property, the land,” Rogers said. The possibility of Gulf Power pursuing a North Escambia nuclear project has drawn little statewide attention since it first became public in a NorthEscambia.com story. That is unlike plans by Florida Power & Light and Progress Energy Florida to build nuclear reactors in Miami-Dade and Levy counties. FPL and Progress are far ahead in their plans, including passing along hundreds of millions of dollars in project-related costs to customers. But rate-case documents indicate Gulf Power started considering a nuclear project in 2007, after former Gov. Charlie Crist issued executive orders designed to reduce greenhouse-gas emissions from power plants. Also, in 2006, the Legislature approved a law that makes it easier for utilities to recoup money from customers as nuclear projects are being developed. Lawmakers hoped the law would encourage building more nuclear plants. The rate-case documents say Gulf Power considered more than two dozen potential sites in Northwest Florida before settling in 2008 on what is known as the North Escambia site that is bordered roughly by Bratt Road, Cox Road, Byrneville Road and Highway 29. The site is along the Escambia River, which could provide a crucial water source for a power plant, and has been owned largely by timber companies. Crist’s push to limit emissions from facilities such as coal-fired plants has stalled in the Legislature. Also, the state’s economic woes have slowed Gulf Power’s expected growth in customer demand for electricity. Pointing to such changes, Gulf Power official Rhonda Alexander said in written testimony that the company decided to defer moving forward with trying to get a license and permits for a nuclear-power plant. But she said it still needed to buy the land. Gulf estimates costs related to investigating, buying and financing the site at $27.7 million. It is asking the Public Service Commission to build those costs into the utility’s rate base, which would lead to recouping the money from customers over time. The impact on customer bills would be relatively small, totaling about $3.1 million a year, according to the company. For a residential customer who uses 1,000 kilowatt hours of electricity a month — a common measurement — that would translate into an increase of 26 cents. But the Office of Public Counsel and other parties involved in the case, such as the Florida Retail Federation and the Florida Industrial Power Users Group, say Gulf Power shouldn’t be allowed to recoup the money through base rates. Consultant Helmuth Schultz, a witness for the Office of Public Counsel, filed written testimony describing the proposal as “speculative overreaching.” In part, he said Gulf Power has not shown a need for adding a nuclear plant. “Gulf has presented no basis on which the commission could conclude that this site could ever be used cost-effectively to benefit Gulf ratepayers,” Schultz said. Pictured top: One of the first pieces of property purchased by Gulf Power Company for a possible North Escambia nuclear power plant. 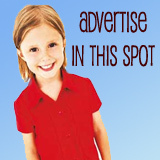 NorthEscambia.com file photo, click to enlarge. I will agree with the accidents on land based nuclear power plants…But I’m 99.99% sure there have never been accidents on a nuclear powered naval ship of the US. And to those on land…only 6 accidents in 60 years? 1 of which(japan) was solely due to an unexpected catastrophic even by mother nature. Seems like a much less chance of an accident than that of a coal/gas based plant. As long as the plants are run to the standards of what the government has in set they will run with no errors and no pollution. The history of mechanical failures, human errors, and natural disasters, causing dozens of serious and catastrophic nuclear accidents (Windscale, UK; Kyshtym, Russia; Three Mile Island, USA; Chernoby, Ukraine; Fukushima, Japan), has proven the risks of operating nuclear power plants are too high. Information is now readily available on the numerous radiation release accidents at land based nuclear powered plants, and on accidents aboard military-naval vessels. No reasons given for the use of civilian or military nuclear power generation outweigh the permanent damages to our health, caused by escaped nuclear radiation. The nearer we are to the radiation, the more the risk. Now that I know Gulf Power is considering building a nuclear powered plant in Escambia County, I will join with others to either persuade the company to choose another power generation method or to prevent a civilian, land based nuclear plant from ever operating on our Gulf Coast. So, we know a plant of some kind is coming….or maybe they could just fund some public housing there (chuckle). Speaking as someone who lives in the area, I would rather have nuclear than coal. Why build something that we “know” kills us instead of something that “may” cause a problem? I doubt folks here would want to sit in the dark. And we sure do love those air conditioners at my house. Sorry, we can’t always say “build it somewhere else”. Full agreement with you, doesn’t make sense. IF YOU BUILD IT, SOMEONE ELSE WILL PAY FOR IT. The concept of Capitalism is use of your own money to produce something which will earn you money in the future. This would be using the money of the expected buyers to pay for it. I guess if they gave us shares in The Southern Company, it might make sense. I’m all for nuclear energy but why are our rates being increased to pay for their capitol improvements? Southern Company’s dividends were $1.87 per share last year, shouldn’t they be reinvesting their profits into their infrastructure? you people who are against this nuke plant should go do some actual research on the subject instead of watching fox news to hear about what happened in japan and making assumptions based upon that tiny bit of knowledge. aside from the waste, nuclear power is just as clean as solar, wind, hydroelectric, etc. amen to debugger. this is high level scam,and in tune with todays in your face corruption. !!! BUILD IT !!! WE NEED THE JOBS!!!! and X-rays should be a lot cheaper. Go to Wikipedida, the free encyclopedia and type in Davis-Besse Nuclear Power Station. I may go apply for a job there, control rods in SLOW, control rods out Fast, I mean how complicated can it be. I do not like the idea of a rate hike, to pay for this thing. I would imagine, with all the red tape, most of us will be gone, by the time the water starts boiling. Gas and coal fuel for power generation seem okay because they are the old standard way of making electricity. Yet coal is the most dangerous in that it kills the most people per year with accidental deaths. For each 100 gigawatts of coal fired power generation, there are twelve accidental deaths per year — think mine collapses and explosions. Natural gas is much safer with only 7.19 accidental deaths per year for the same power production — mostly from distribution deaths, I assume ruptured pipelines. Nuclear has 0.73 per year, mostly from accidents at the power plants — things like falling off scaffolding, perhaps. Hydroelectric is safer with only 0.27, geothermal with only 0.17, onshore wind power generation with only 0.19. Particulate pollution from fossil fueled power plants are estimated to cause 30,100 premature deaths per year in the USA alone. Nuclear doesn’t have that problem, no airborne emissions (unless some drunk rooky at work throws the wrong switch, of course). In contrast tons of radioactive material go up the smoke stack of coal fired power plants. Most of it’s scrubbed out, but it’s funny to consider how people are scared of the safer form of power generation and comfortable with the worst form. Those of you saying that you would move just don’t know very much about nuclear power. There are many main u.s. cities surrounded by many nuclear power plants, and no problems. Just because another country can’t handle their own, doesn’t mean we can’t. We already do, on moving vessels at that. With zero accidents. W hat in the world are they drinking Imean thinking. Maybe they should go have a talk with Japan, then go talk with Russia. I bet they wish somebody else had theirs. running water, or indoor plumbing. around radioactive material without any problems. Perhaps we should go back to kerosine lamps, horse and buggys and out houses. Finally some peace and quiet around here with everyone leaving. PSC—Ref. your comment about the profit on the sell of the property—there was not a soccer field for sell —so they just made do. I’m one of those who will have to move if a nuclear power plant is built in McDavid. I would reject the idea of nuclear plant being built. Gas or coal but no nuclear. Time to pack my bags and find another place to live… there’s no way I’m living less than 8 miles from a nuclear power plant. For 3 I watch the Simpsons, I’m not eating 3-eyed fish! We need to look for cleaner energy options but, I would not think that a business would be able to bill someone for services not yet rendered. I wish I could be guarenteed a 12% return on investment as this utility is. Remember they bought 12M of prime pensacola waterfront property out from under commercial businesses downtown and constructed a 25M Taj Mahal….guess what, that expense garners them a guaranteed added profit. Then there was the 15M spent for their land on Hwy 29, purchased from a company who bought it for 4M 18 months earlier.. When will the rate payers say, enough! Oh but they are such good public stewards, donating to so many charitys – guess where the money comes from! When I was a kid, I saw a number of documentaries on the dangers of nuclear fission. These were presented mon-Fri at 3:30PM everyday on channel 5 Mobile. The program called the BIG SHOW. A nice gentleman by the name of Maximillian Goodman hosted these presentations. I think Nuclear Power is great, as long as it is far downwind from us. The hard reality is as coal transportation cost skyrocket and natural gas prices increase, we will have to go with it. Easier for a hugely-profitable company to get into your pockets in order to pay for their expansion plans, not just for the service they provide. I won’t even go into what’s wrong with lawmakers hoping to encourage the construction of more nuke plants. Their opinion. 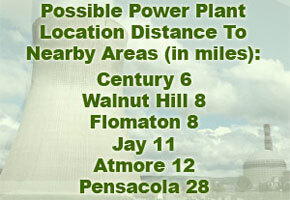 I submit there is NO acceptable location for a nuke plant in NWFL. “…Helmuth Schultz, a witness for the Office of Public Counsel, filed written testimony describing the proposal as ’speculative overreaching.’ In part, he said Gulf Power has not shown a need for adding a nuclear plant. Sounds more & more like another scheme to siphon more money from customers for a project that’s unwise & unnecessary. No one here wants a power plant there, much less a nuclear plant, and if they want to build one why are we paying for something that isn’t even planned yet? This is just a way to get more money from consumers! I see what the Escambia river looks like after the waste dumped there…it used to be nice there. Now they want to ruin more land! The County fights industry here but it seems OK to pollute land for another power plant. Who’s pocket is this going into?